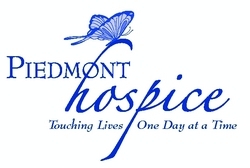 Piedmont Hospice, LLC is guided by a tradition of personal, clinical and technological excellence. We believe that serving patients in the community setting is the most important activity of the organization. We are dedicated to providing the highest quality of patient care with compassion and respect for each person and are part of the reliable medical family which has been providing excellent patient service. The hospice philosophy recognizes death as the final stage of life and seeks to enable patients to continue an alert, pain-free life while managing other symptoms so their last days may be spent with dignity and quality, surrounded by their loved ones. Hospice affirms life and does not hasten or postpone death and treats the person rather than the disease; it highlights quality rather than length of life. It provides family-centered care involving the patient and family in making decisions. Services are available for the patient and family 24 hours a day, 7 days a week. Hospice care can be given in the patient’s home, a hospital, nursing home, or private hospice facility.